Dogs make wonderful pets. Owning pets can not only keep you entertained and happy, it can add years to your life too. All pets do develop some bad habits over the long run. Responsible pet owners identify and address these habits before they become a major problem. 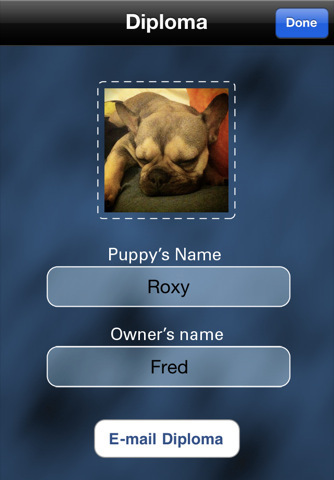 Puppy Coach 101 is a very helpful application for dog owners who are not too experienced when it comes to training their pet. It contains plenty of videos and content to teach users how to coach their dogs more effectively. Puppy Coach 101 has over 30 video clips that introduce users to the basics of dog training. Dogs can develop barking, peeing, and yelping habits. This app helps you teach your dog to behave at all times. The training videos are not too long and go straight to the point. 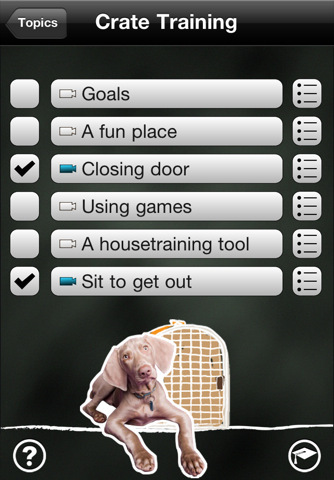 Puppy Coach 101 does have a check-list kind feature that keeps dog owners and their pets on track. The app does not cover advanced tricks. At the same time, it contains a wealth of good information on basic behaviors we all expect from our lovely pets. Having the ability to print a certificate for your puppy when done with this training course is pretty cool too. If you have just picked up your first dog and have trouble dealing with some of his/her habits, Puppy Coach 101 can help you start correcting them right away. A handy app for pet owners.